Minimal Shapes, inspired by nature. Through the Research and Development of MAGMA 04® formula, C37 studio designed a lamp series for mass production. 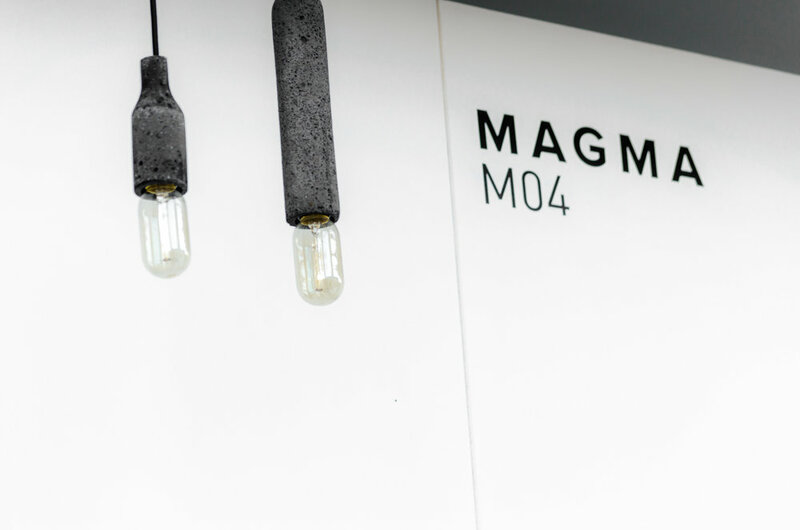 Acorn showcase the possibility of use of MAGMA 04 in the lighting industry as an innovative and competitive material. C37 Material Development Studio is focused in creating new materials. Through a multidisciplinary methodology, they challenge existing materials and discover new manufacturing opportunities by connecting industrial design, science and technology. new material by c37 : MAGMA 04® the new liquid stone. A Liquid Formula that Defies the Nature of Stone. It enhances the Basaltic stone, better known as "lava stone" and it emulates it in appearance & texture. Its origin and manufacturing process, as well as its physical and chemical characteristics allows new applications that can't be obtained with the natural stone. The formula is conceived in a semi-liquid state and transformed into solid state. Unlike Basaltic stone, MAGMA 04® can be casted in a mold, allowing designers to create organic shapes & forms. The composite hardens in a short amount of time, making production time faster than the natural stone. Details and finishes are handcrafted, creating unique products. A STONE DESIGNED FOR LIGHT. Acorn, is a collection of pendant lamps designed by C37 studio, produced with their new formula MAGMA 04®: The new liquid stone, the first material belonging to the library of the studio C37. Aiming to create lighting products with innovative materials, Acorn is a minimalist collection of lamps that takes advantage of some of the main properties of the new liquid stone. A series of pieces that are both functional and beautiful. beautiful and practical, made with the liquid stone. 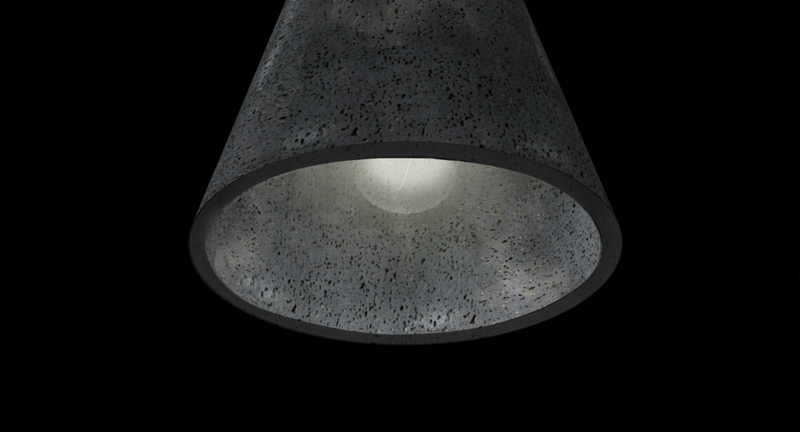 The walls of the lamps are 5 mm thin to lower the weight of the products. This thickness is impossible to obtain with volcanic rock. Unlike stone, MAGMA 04 can be casted in a mold to create infinite products in a shorter amount of time (in contrast to the extensive artisanal carving process of the traditional Basaltic stone). The mold is made from a 3D printed prototype to create an identical and precise copy. 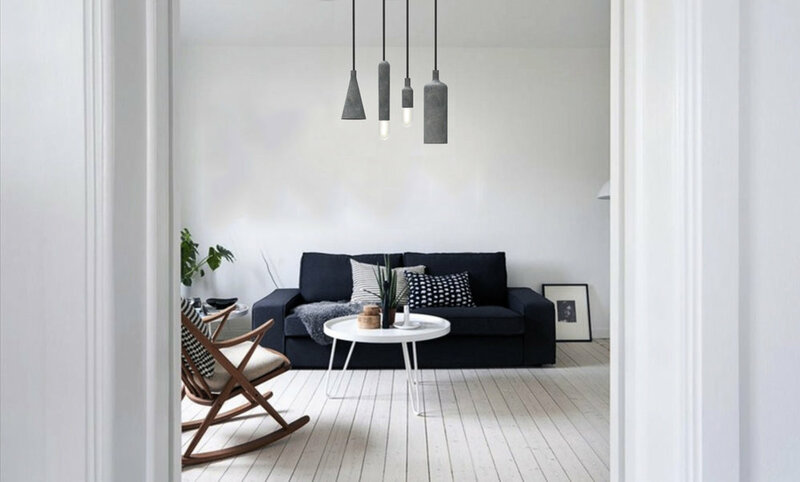 C37 Studio designed a Acorn series to explore the lighting industry. The products were exhibited @MIND, a material platform during the material fair of 2016. Acorn series are available for mass production for restaurants, hotels, architects and interior designers.